Need a gift for the tea lover in your life? For the Love of Tea basket is just what you need, featuring a variety of specialty teas including Comfort Collection English Black Tea and Stash Peach Herbal Tea. 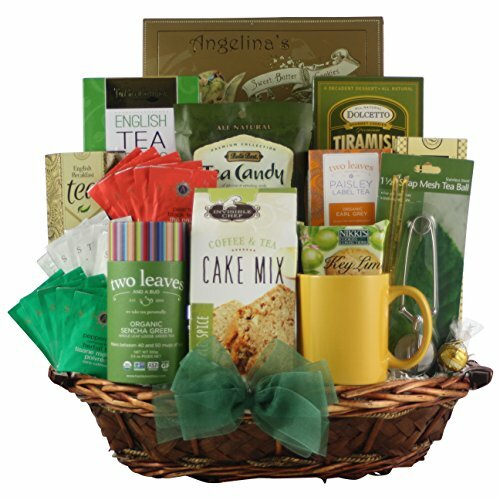 Bali's Best Green Tea Latte Hard Candy, Invisible Chef Apple Spice Tea Cake Mix and Nikki's Key Lime Shortbread Cookies are just a few of the sweet treats included in this beautiful basket. This unique gift is sure to impress.